Ariel said it was “an appropriate Zionist response to the terrorist Palestinian government,” the paper reported. “Israel has the right and duty to build throughout the entire country,” said the minister, who is a member of the far-right Jewish Home party which is fierce champion of the settlements and opposes a Palestinian state. The announcement comes amid Israeli anger at its US ally’s decision to work with the new merged administration for the West Bank and Gaza formed by Palestinian president Mahmud Abbas with the support of Israeli foe Hamas. On a lightning visit to Israel’s northern neighbour Lebanon on Wednesday, Secretary of State John Kerry defended the US decision. Israel’s Housing and Construction Ministry on Wednesday published tenders for 1,500 units in the West Bank and East Jerusalem in a move Minister Uri Ariel said was a response to the “Palestinian terror government” established earlier this week. Of the housing projects approved by Ariel’s ministry, over 700 are slated for the Etzion Bloc towns of Efrat and Beitar Illit, another 76 are planned in the town of Ariel, 78 in Alfei Menashe, 155 in Givat Ze’ev, and 400 in the northern Jerusalem neighborhood of Ramat Shlomo. 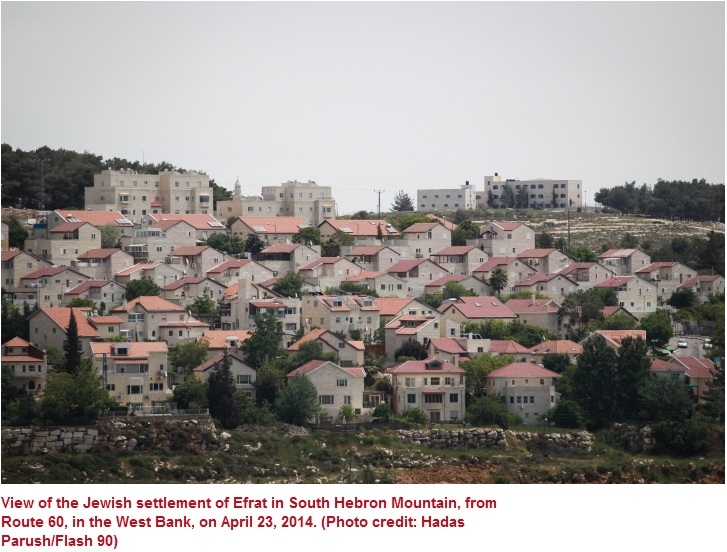 An additional 38 are to be built outside what’s considered the major West Bank settlements blocs, in the West Bank settlement of Geva Binyamin, north of Jerusalem. “The right and obligation of the state of Israel to build across the country in order to reduce the price of housing is not in question, and I believe that these tenders were just the beginning,” the Jewish Home party minister said in a statement. Wednesday’s announcement ended what Israeli officials said had been a “silent freeze” on West Bank construction because of pressure from Washington. At a briefing with Times of Israel staffers last month, Deputy Defense Minister Danny Danon said Israeli authorities recently imposed a “silent freeze” on planning for further settlement expansion. While construction work was taking place on already approved projects, no new developments were planned and no tenders and bids were being issued, Danon said at the time. The settlement construction announcement came a few days after opposing Palestinian parties Fatah and Hamas set aside their differences and formed a national unity government, ending seven years of hostility. Jerusalem on Monday night slammed the United States for announcing that it will work with the new Palestinian unity government. Israeli officials said that Washington ought to be urging Palestinian Authority President Mahmoud Abbas to disband his pact with Hamas and resume peace negotiations with Israel instead of associate with a terror group.